MOSCOW, July 9. /TASS/. 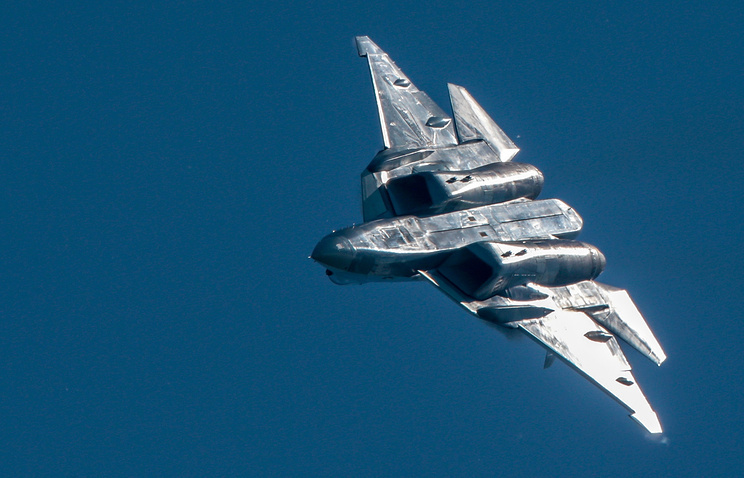 A new anti-gravity suit designed for pilots of the Sukhoi Su-57 fifth-generation fighter jet has been prepared for flight tests, CEO of the Zvezda Research and Production Enterprise (the G-suit’s developer) Sergei Pozdnyakov told TASS on Monday. "Our full-size suit is a one-piece outfit, which presses firmly on the arms and the larger part of the body. The tests have shown that we comply with the requirements for G tolerance. Its flight capabilities are planned to be tested, after which we will decide what to do further," the chief executive said, without specifying the timeframe of the tests. The suit prototypes have already undergone tests on a centrifuge with test persons. During the plane’s maneuvers, the G-suit prevents the drain of blood from the brain to the abdomen and the legs. The chief executive earlier told TASS that the deliveries of the new G-suit would begin no sooner than 2019. Five such suits have been delivered to the Sukhoi Aircraft Company and the tests will last about six months, he said. The Su-57 took to the skies for the first time in Komsomolsk-on-Amur on January 20, 2010. Compared to its predecessors, the Su-57 combines the functions of an attack plane and a fighter jet while the use of composite materials and innovation technologies and the fighter’s aerodynamic configuration ensure the low level of radar and infrared signature.